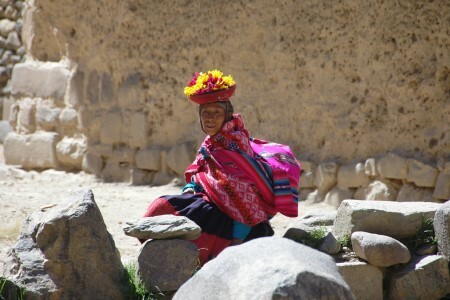 Today we took a tour of the sacred valley. Our first stop was to a small market at what seemed like the middle of nowhere, but provided a good view of the mountains. 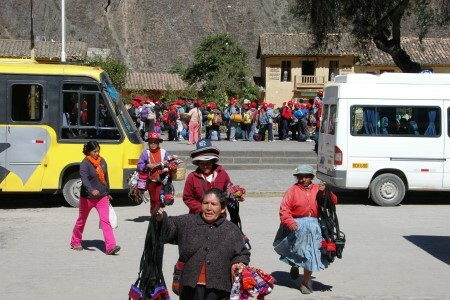 Our next stop was to the living Inca city of Ollantaytambo. 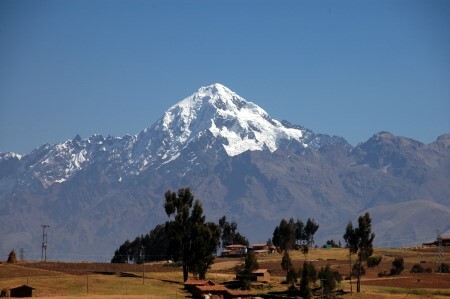 The main town is built on top of what was once an Inca city. 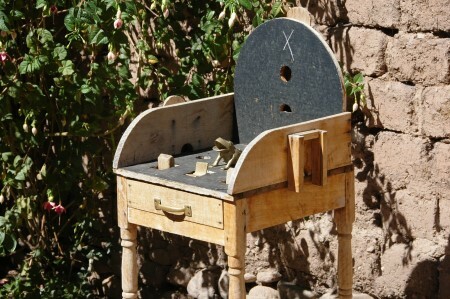 Many of the homes in Ollantaytambo have foundations and walls from the old Inca city that have stood for hundreds of years. 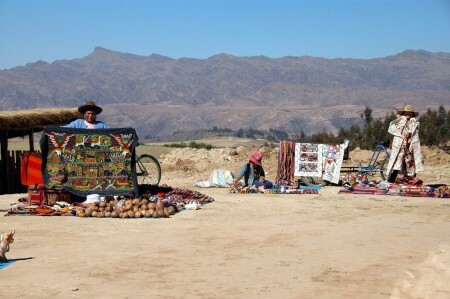 As soon as our bus arrived we were rushed by peddlers selling their goods. Our tour guide, Gary, took us to a home within the city so we can see how people there live. 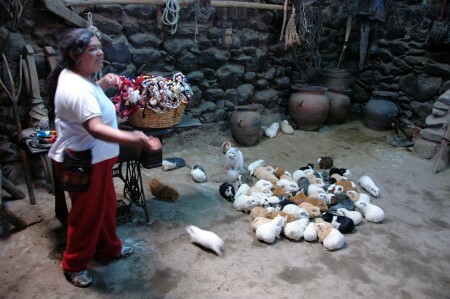 In her home, besides making crafts to sell to tourists, she raised guinea pigs which are considered a delicacy in Peru and eaten during festivals and religious ceremonies. The Peruvian people find it amusing that American's keep them as pets. 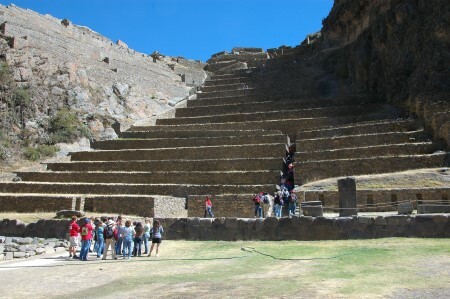 Following the tour of the city we climbed up the ruins of Ollantaytambo. 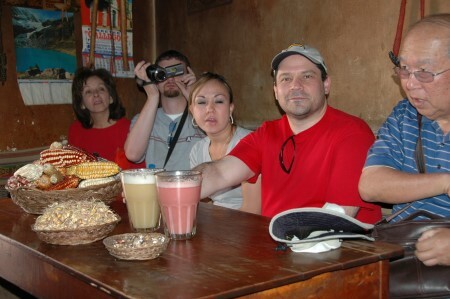 After leaving Ollantaytambo we went to the Descanso Inka Bar where we played a traditional Peruvian bar game, had a demonstration of how they make corn beer, known as chicha, and had a chance to sample the beer. 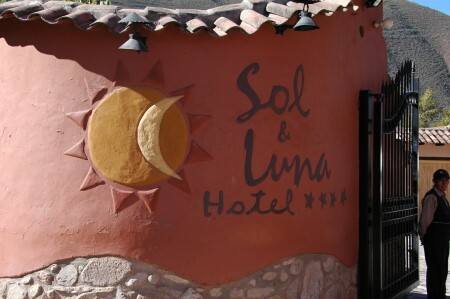 For lunch we stopped at the Sol & Luna Hotel where we had a very nice buffet lunch after which the bus took us back to the hotel in Cusco.